Although California offers ideal boating weather virtually year round, you probably won’t be on the water every day. Thankfully, you can keep your boat safe and secure at a boat storage facility in Mountain View. But while keeping your boat at a storage facility will protect it from theft and vandalism, you will also need to maintain your boat to make sure that it stays in tip-top shape. This is important, because when items like this are stored, they must be maintained as if they’re being used. Here are some basic boat maintenance tips that will pay off in the long run. The first and simplest task is to wash your boat regularly, especially if you boat in saltwater. Rinse your boat with freshwater after every outing before you return to the storage facility to remove salt residue. Salt will corrode metal and other hardware, and can mar your boats gelcoat as well. Use specially formulated marine boat wash to remove the salt residue from your boat before putting it back in storage. Just like your car, your boat needs to have its oil changed regularly. The frequency will vary depending on the type of engine your boats has, but a good rule of thumb is to change the oil every 100 hours of operation or at least once a year. It’s best to change the oil while your boat is still in the water, before you load it on the trailer and head to the storage facility. 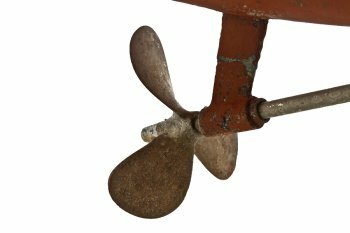 If you have an outboard or stern drive bot, check the propeller as part of your pre-launch routine. Make sure discarded fishing line hasn’t become wrapped around the propeller shaft, and inspect the blades for nicks, dents, and other signs of damage. The smallest imperfection in the propeller can cause your boat to lose performance and burn excessive fuel. Mirrors and artwork are extremely fragile. Before you put mirrors and artwork into storage, you need to pack them to keep them safe. Although they make boxes specifically for large mirrors and artwork, you will need to do some preparation to the items before putting them into the boxes. Wrap bubble wrap around the mirror or artwork and tape around the item to keep the wrap in place. Then line the bottom of the box with packing paper to create a cushion. Place the mirror or framed artwork inside the box and fill in the space around the item with more packing paper. Visit your self-storage facility in Mountain View for boxes, packing paper, and other packing supplies. Your self-storage facility should also provide packing tips to help keep your belongings safe while they are in storage. Packing boxes for storage isn’t exactly an art form, but it’s pretty close. By making sure to properly pack your belongings, you can expect them to come out of their boxes in good shape. Good packing techniques can also help you conserve space so you can get the most out of every box and fit more items in your storage unit. Here are some tips for packing boxes before you move everything into a self-storage facility in Mountain View . The right box makes all the difference. Heavy items should be packed in small boxes, while light items should be placed in bigger ones. Large boxes packed with heavy items not only make for back-breaking work, but also have a better chance of breaking during transportation. When packing the boxes themselves, place heavier items at the bottom of the box and lighter items on top. This will prevent light, fragile items from breaking and will add stability to the boxes. The same concept applies when placing the boxes in the storage unit, with lighter boxes stacked on top of heavier ones. Empty space inside packing boxes allows items to move around and potentially break. To keep everything in its place, fill in gaps with clothing, towels, or packing paper. Boxes that are loosely packed or unbalanced can also be hard to move due to the shifting weight inside the box. Label each box with the room it’s destined for and a description of its contents. This will help you quickly find a particular item, especially when the time comes to take your boxes out of storage. Once the boxes are labeled, tape close the bottom and top seams and make a couple wraps all the way around the box’s top and bottom edges, where stress is concentrated. 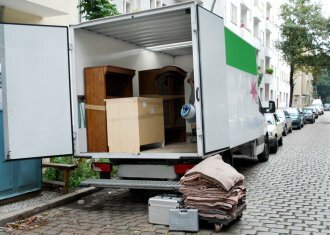 If you want to save money and make it easier on yourself to move in and out of a self-storage unit, you need to learn how to pack it before you bring truckloads of furniture and boxes to the storage facility. For starters, make sure to use uniformly sized boxes. This will make it easier to stack items vertically, thus conserving space. You should also pack tall items like couches and mattresses along the walls around the unit. Finally, make sure to keep an inventory of everything inside your unit and a diagram of where your belongings are located. Once you know how to pack your storage unit, you need to find a self-storage facility in Mountain View that you can trust with your belongings. Look for a storage facility that promises high-tech security to keep your belongings safe. An online account system will also be beneficial in scheduling and making payments while on the road.